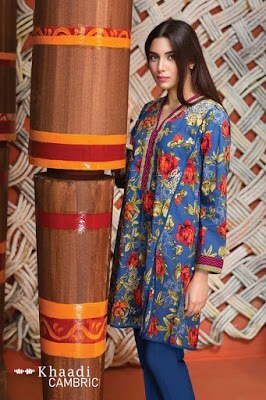 Art nouveau enthused florals, the 2Piece unstitched cambric collection comprises of embroidered shirts combination with attractive laces and stunning plain pants. Latest winter collection for ladies focuses on traditional designs while emphasize embroidery that enhance the Khaadi design philosophy. 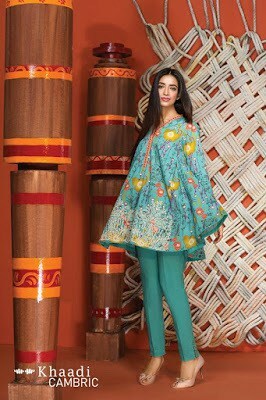 Get this embroidered shirt with white laced boarders and botanical florals combined with plain green pants! Latest cambric dress design for winter majestically crafted and set to excellence, it is designed to raise natural splendor. 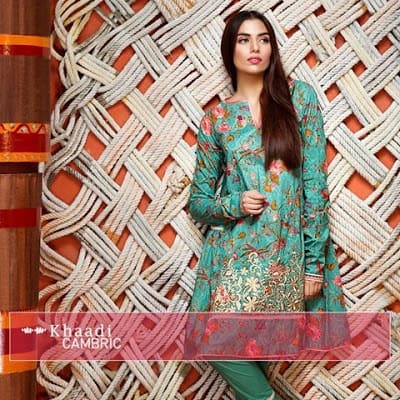 Khaadi latest collection of winter unstitched dresses adds individuality by clutch your hands over this everyday casual wear.